Crane company with global experience. Sarens. Sarens is a recognized world leader in the lifting and moving of heavy loads! Our company LLC Sarens Russia (part of Sarens Group) has the opportunity to offer you a comprehensive approach to the implementation of your projects in wind power. In the period from 2015 to 2016 specialists of the Sarens Group have built more than 400 wind turbines of various manufacturers in Western and Eastern Europe, the Baltic States, the Republic of Belarus and Kazakhstan. More than 5 000 MW of wind projects since 2010 was realized with the participation of Sarens Group. 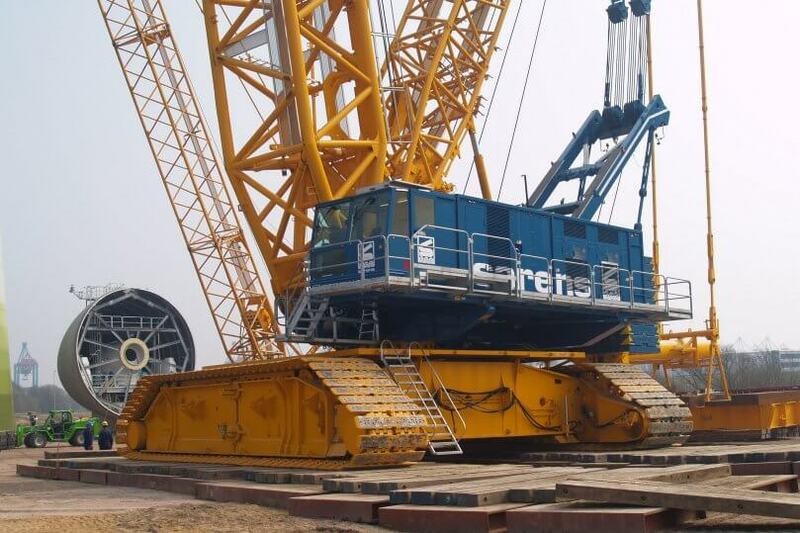 Sarens Group has perhaps the largest fleet of crane equipment in the world (nearly 1,700 cranes, more than 1,700 SPMT platforms, 10 barges and more than 1,000 special equipment items) and is ready to provide all necessary crane equipment for your projects. All equipment is provided with operators with experience in the specific installation of wind turbines, and in total Sarens is more than 5,000 professionals, diligently working on projects of our clients, which are the best market talents from around the world. Certified installers, engineers, project managers who have vast experience of mounting almost all manufacturers in the territory of both Europe and CIS countries. Security and superiority in everything we do is of paramount importance to us. The quality management system of LLC “Sarens Russia” complies with GOST R ISO 9001-2015 (ISO 9001: 2015). The company is ready to render full assistance (engineering, installation of cranes, site allocation) in preparation for the implementation of their project.